Sick Of All That Dry Air In Your Lungs When You Breathe? The humidity level in the air is something that can really influence your mood; if it is low and the air is dry people often feel a bit lazy and irked. This desk humidifier is all you need to maintain the optimal humidity level in your room! 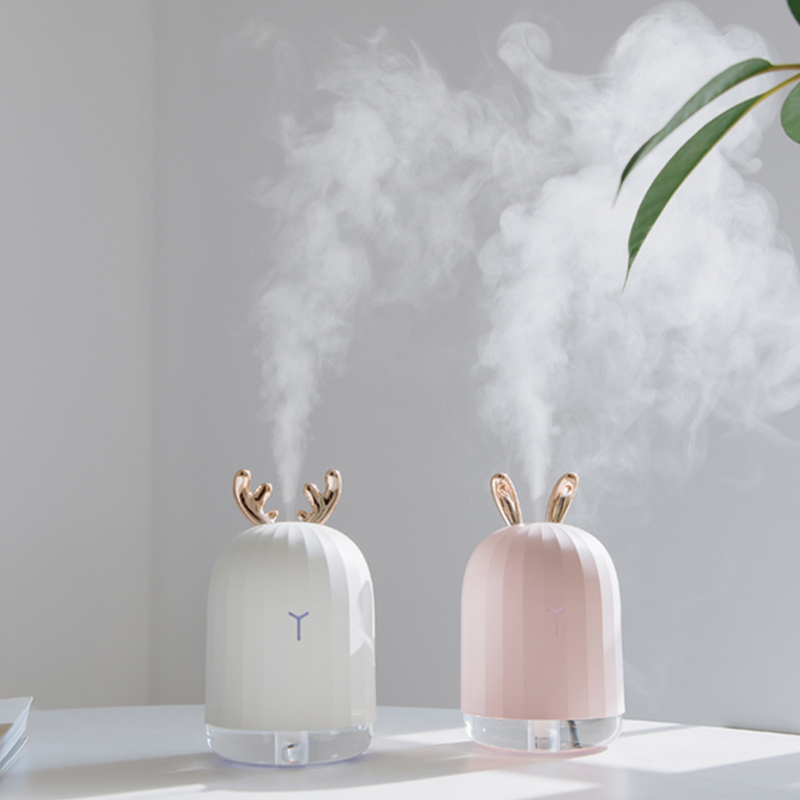 This ultrasonic humidifier uses simple technology to blow a fine mist in the air around you, raising the humidity levels of the dry air, and giving you the comfort you need. This aroma diffuser is the perfect mood-maker as you can use exotic oils in its container to get your desired essence in your environment. Moreover, this home humidifier has an integrated LED night light beneath it that lighten up your mood at night with an indulging combination of aroma and light. To top this all off, this amazing desk humidifier is USB powered, providing up to 4 hours of continuous mist making for your ease.